Strong data management knowledge and skills are a requirement for every DNP graduate. This unique text focuses on fostering the rigorous, meticulous data management skills that can improve care experience, health outcomes, and cost-savings worldwide. It provides a knowledge base, describes the regulatory and ethical context, outlines a process to guide evaluation, presents a compendium of resources, and includes examples of evaluation of translation effects. It takes the DNP student step-by-step through the complete process of data management including planning, data collection, data governance and cleansing, analysis, and data presentation. Moreover, the text continues the process of establishing a sturdy clinical data management (CDM) skill base by presenting techniques for ongoing project monitoring after analysis and evaluation are concluded. A progressive case study illustrates multiple techniques and methods throughout each chapter, enabling students to apply what they have learned to their own DNP projects. The book features information from professors who are highly experienced in teaching CDM as well as a renowned scholar of cost-savings and evaluation of program outcomes. The text provides very specific examples of techniques using SPSS software that is familiar to graduate nursing students. Chapters include objectives, references, and examples from translation projects to assist students in learning and applying chapter content. 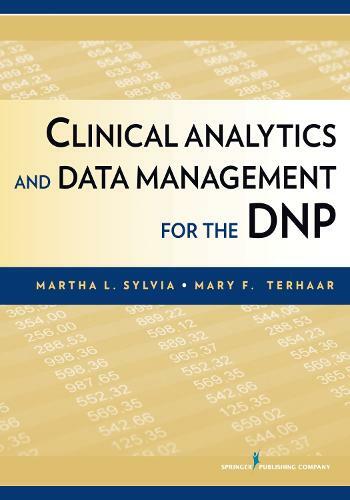 Appendices describe numerous tools and tricks of the trade compiled by the authors over several years of teaching clinical data management to DNP students.